If you're looking for a way to give your suspension that helping hand, but don't want to break the bank, then you need to check out Air Lift AirCell urethane helper springs. Easy to install and even easier on the wallet. Air Lift constructs their helper springs out of closed-cell urethane foam that's durable and strong. Unlike factory bump stops, AirCell not only protects the vehicle when bottoming out, it helps to reduce bottoming out, and increases ride quality while riding loaded. Air Lift AirCell is a breeze to install, and once in place, there's nothing to inflate - install it and forget it. 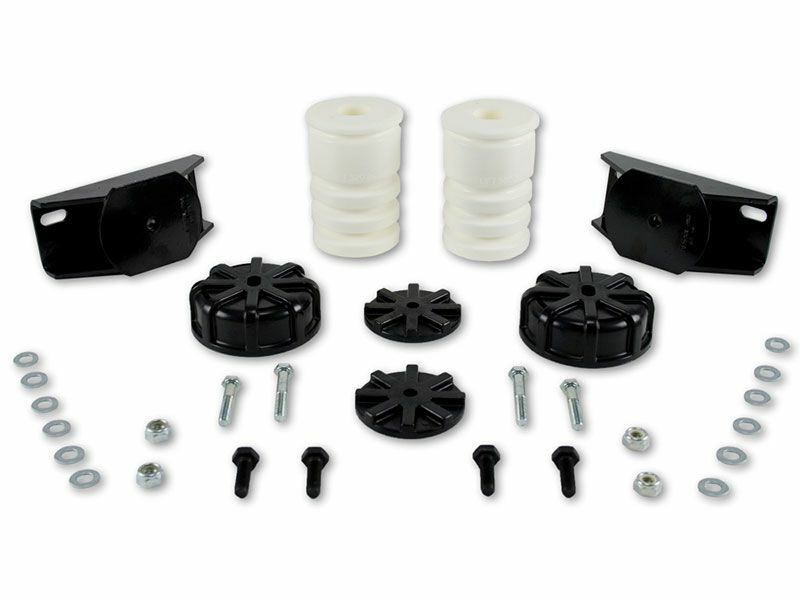 Available for the front and back, there's the perfect Air Lift AirCell urethane helper spring waiting for you no matter if you're towing a camper, hauling a bed of sheetrock, or pushing snow. Order yours today! Air Lift Company warrants that the Air Lift 1000 kits will be free from defects in workmanship or materials for the lifetime of the vehicle of original installation. This does not include installation or other service charges for replacement. If you have any questions on the warranty, give us a call at 877-216-5446. Air Lift AirCell urethane helper springs are quick and easy to install. Needed hardware and instructions are included with each order. Install instructions are also available on RealTruck.com. Give us a call at 877-216-5446.